There’s fierce competition among the world’s most powerful and influential cities, and there are a lot of questions: Are the megacities cropping up in the developing world displacing the western world’s hubs? Does London or New York come out on top? 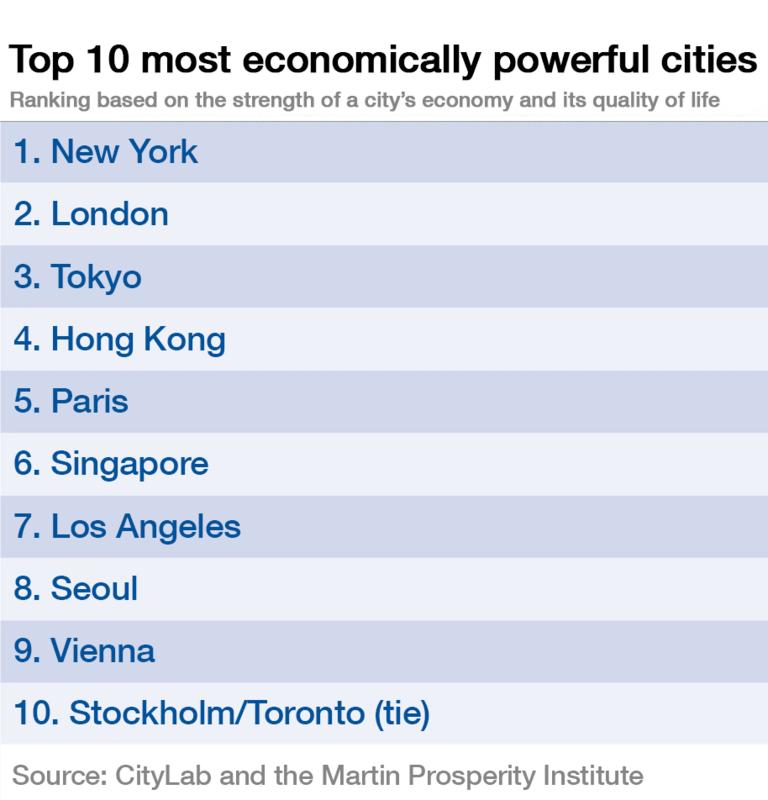 CityLab and the Martin Prosperity Institute have teamed up to compile a ranking of the 25 most economically powerful cities in the world today. They’ve based it on four major factors: Overall economic clout, equity and quality of life, financial power and global competitiveness. Their estimates for these are drawn from a bundle of different sources. There are some surprising cities pretty high up on in the ranks, and you can check where they all sat three years ago when the list was last made. Some have surged up the ranks and some have dropped back considerably. Author: Mike Bird is a European markets editor, working from London and covering financial and economic issues. Image: A street sign for Wall Street hangs in front of the New York Stock Exchange. REUTERS/Lucas Jackson.